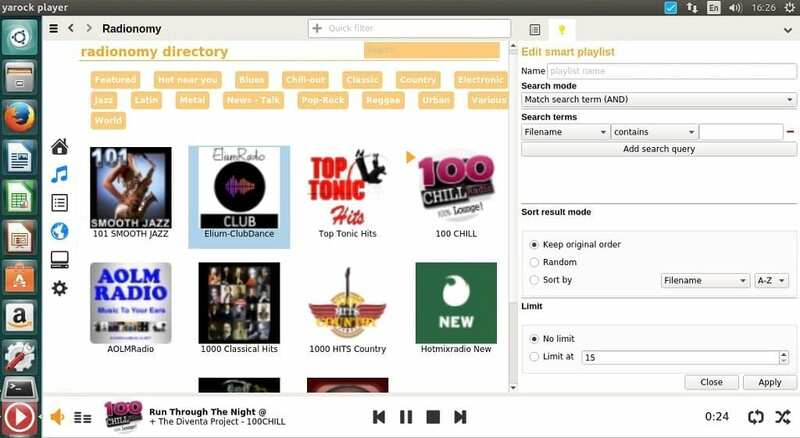 Yarock is a modern good looking desktop music player for linux, and its packed with great features. It is designed to provide you with an easy as well as easy to use music browser based on cover art. Furthermore, it’s an easy to build app with a minimal set of dependancies, and offers the choose of differents audio back-end. B Before we proceed on how to install yarock on Ubuntu, lets take a quick look at its features. The web radio streaming supports best radio stream services such as TuneIn, SHoutCast, Dirble.